GREENVILLE – The Light Foundation, a nonprofit founded in 2001 by three-time Super Bowl Champion and New England Patriot Matt Light, has announced another expansion of its Ohio-based leadership team. Light, a Greenville native, has named Dusty Yingst as new executive director of The Light Foundation. 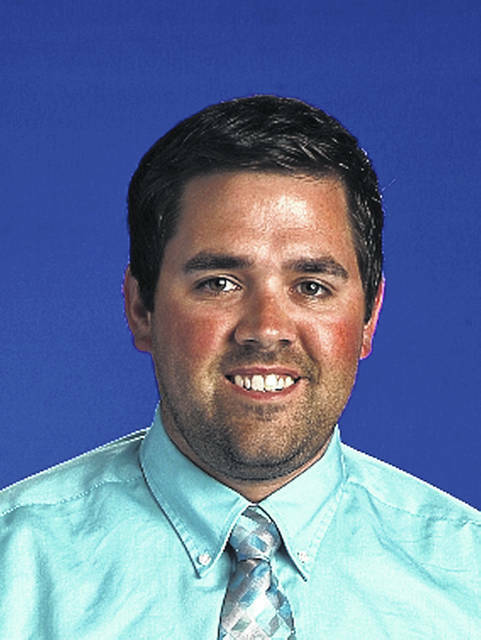 Yingst is a longtime member of Darke County and has served the community for the past nine years as a former Athletic Director at Bradford, Mississinawa Valley and Greenville schools. A seasoned leader, he joins Program Director April Brubaker, Camp Vohokase Director Edgar Flores and Facility Manager Brian Rehmert at Chenoweth Trails. Light says he’s the ideal candidate to head community outreach and ensure needs are being met for local youth. The Light Foundation team is thrilled to welcome Yingst to the team this November as plans to expand programming for 2019 are well-underway. “We are beyond excited to be working with Dusty and feel he is the perfect fit for the new executive director position. Brian (Rehmert) and I have both worked with Dusty in the past and are pleased with the key assets he brings to the team,” said Brubaker. As for Yingst, the new leadership position seems like a natural progression given his years working within Darke County. He has ample experience in planning and budgeting for youth programming and genuinely enjoys building impact relationships with students and their families. “I’m really excited to expand the Foundation. It’s a great opportunity to take the knowledge I’ve learned over the years and apply it to new communities in a leadership role,” said Yingst. As a father and husband living in Darke County, Yingst himself has benefitted from the Light Foundation’s local programs and events. In his nine years as an athletic director, he encouraged many of his students to engage in Foundation events such as the Matt Light All-Conference Football Camp, the Youth Turkey Hunt and the Light Project. Witnessing the impact these programs have on families in the area, he is tapped into the Foundation’s mission to be R.E.A.L. Yingst will work out of “The Station,” the organization’s recently completed 7,000 sq. ft. new headquarters at its Chenoweth Trails facility in Greenville. The space will serve as a headquarters for all things Light Foundation as he oversees the administration, programs and strategic plan of fundraising and marketing for the organization. The space will also serve as home base for the final new hire, an Executive Director for the Light Foundation. Filling the Executive Director position completes the leadership team for Light, who can now focus on more strategic oversight for the Foundation to ensure continued growth for many years to come. “Being that this year marks the 15th year of the Foundation, there simply wasn’t a better time to add another dedicated, impactful member to our team who will be pivotal in community outreach” says Light. The Light Foundation (www.mattlightfoundation.org) was established in 2001 by 3-Time Super Bowl Champion and 3-time Pro-Bowler Matt Light. Matt was drafted in 2000 out of Purdue University as the anchor for the Patriots offensive line for more than a decade, before retiring in 2012. The Light Foundation strives to instill and augment the values of responsibility, accountability and hard work by providing youth with unique outdoor learning experiences that assist them in reaching their highest potential. Its goal is to lead young people down a path to becoming responsible members of their communities who are capable of passing on the torch of leadership and achievement to their friends and families. Matt Light received the third New England Patriots Ron Burton Community Service Award in 2005, and in 2008, was presented the President’s Volunteer Service Award for his outstanding work in the community by the Bush administration. In 2014, he was named the Humanitarian of the year by All Sports United. Since its inception in 2001, the Light Foundation has raised more than $6 million for various programs and initiatives. This entry was tagged April Brubaker, Brian Rehmert, Darke County, Dusty Yingst, Greenville, Matt Light, The Light Foundation. Bookmark the permalink.